John Bogle, who launched Vanguard, the $3 trillion firm that popularized index investing, shares his thoughts on ETFs and smart beta. 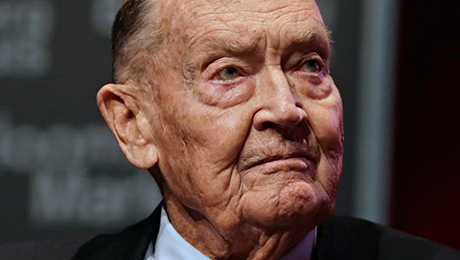 In last year’s 40th anniversary issue of the Journal of Portfolio Management, John (Jack) Bogle recounts how he founded Vanguard Group and the ubiquitous index strategy now synonymous with the $3 trillion firm. His inspiration: a 1974 paper by Nobel economic sciences laureate Paul Samuelson in the first issue of JPM, Institutional Investor’s sister publication, outlining a fund that would track the S&P 500 index. Bogle launched Valley Forge, Pennsylvania–based Vanguard the following year; he retired as CEO in 1996 and is now president of the Bogle Financial Markets Research Center, where he does research on behalf of investors. The index idea caught on: In 2014 active U.S. equity funds had outflows for ten consecutive months through December, reports Chicago-based Morningstar; passive U.S. equity funds saw inflows for 11 straight months. 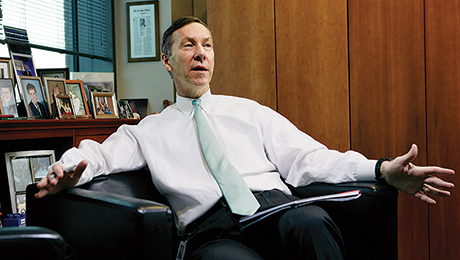 Vanguard was the winner among passive-fund firms. Among the changes since the early days of index investing is the proliferation of exchange-traded funds. Active managers are fighting back with so-called smart beta products, which use new indexes built around factors such as value and growth. Senior Writer Julie Segal talked to Bogle, 85, about the passive craze, ETFs and the future of indexing. 1 Investors are sending massive amounts of money to index funds. Have they finally gotten your message, or is something else going on? We’ve been through ups and downs, and we’ve seen actively managed funds come and go in terms of performance. Nothing lasts forever. 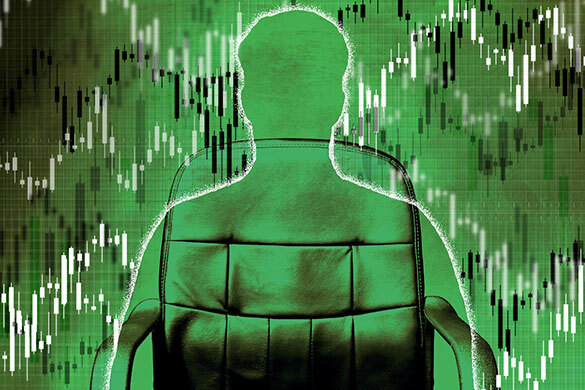 While it’s hard to understand reversion to the mean and that past is not prologue in this business, investors do finally get the value of indexing from their own personal experience in the markets. I get letters all the time from people thanking me for how they’ve done. “You should know I’m now over $1 million or $3 million,” they write. More than anything, it’s the experience of investors and the power and logic of my ideas, which aren’t world-shaking. It’s gross return minus costs equals net returns. 2 Exchange-traded funds make up a big part of the flows into passive. 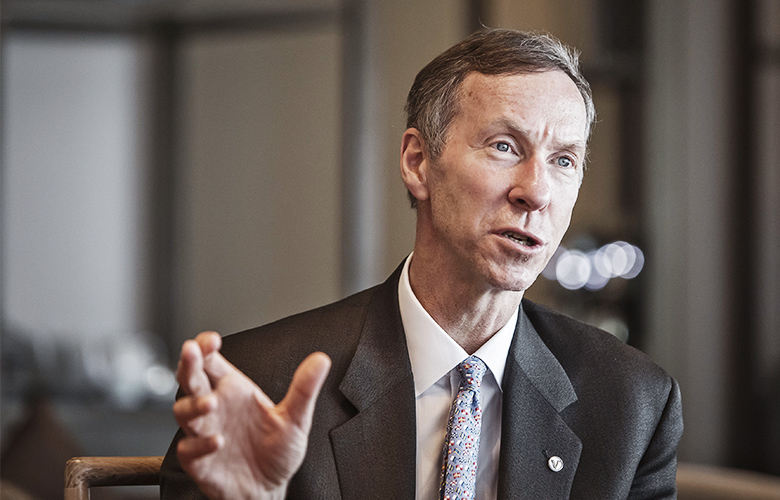 Have you changed your views on ETFs? No. I’ve often said the ETF is the greatest marketing idea so far in the 21st century; I doubt it’s the greatest investment idea. ETFs are fine if you don’t trade them; and if you don’t trade, you might as well own the regular fund. We’re indifferent at Vanguard. We have the exact same portfolio available in different packages; ETFs or regular funds. Look, I’ve had to invent my own word now: a traditional index fund, to differentiate it from the ETF. Dividend reinvestment and other things are cleaner with the TIF. There are two issues here. One is that with ETFs there is a huge amount of institutional ownership: large organizations that trade like the dickens. Every day the SPDR is the most actively traded stock in the world. 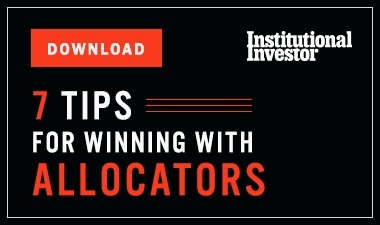 A recent Vanguard study showed that 90 percent of investors in traditional index funds are long-term. Only 80 percent of investors in ETFs are long-term. That’s a 100 percent increase in short-term investing. Investors always do worse than the funds themselves. Investors’ returns lag fund returns by 150 basis points in TIFs, but they lag by 250 basis points with ETFs. There are also two segments of noninstitutional users: those who own the broad market funds like the S&P 500 and those who own niche segments of the market or leveraged funds. Some investors in the broad market funds are traders. But the fruit-and-nutcake fringe of ETFs is just poison for investors. Investors in these are subject to abuse, subject to opportunism, subject to overzealous marketing. They are unsound investment products. I don’t like investment products anyway. I banned the use of the word “product” all those years ago at Vanguard, but it’s come back even here. 3 Investors are buying your message then, but a lot are using ETFs and trading more. Is it two steps forward and one step back? I don’t know what to say. The SPDR turns over 7,000 percent a year. I think 3 percent turnover is pushing it. On balance they all lose. There is a lot of opportunism here: Advisers or whoever saying you should get out of health care and into technology or into financials. That’s a way to manage money that doesn’t work. Who knows what will do best? I don’t even know anybody who knows anybody who does. 4 If all money were indexed, some argue, there would be no one setting fair market values for companies. Do you believe this is true? What’s important in the long run in investing is how the corporations do. One hundred percent of stock returns come from dividend yields and subsequent earnings growth. The change in price-to-earnings ratios — valuation — goes up and goes down. It’s a vibration and contributes zero in the long run. So 33 percent of the market is now indexed. Maybe in ten years we could get to 50 percent, and we can reexamine it then. But that’s a long time away. There are those who say when indexing gets big — they don’t put a number on it — then the markets will get less efficient and it will be easier to win. Absolutely correct. But it will also be easier to lose! Smart beta is stupid; there’s no such thing. It’s an idiotic phrase. Quoting Shakespeare, I guess: It’s a tale told by an idiot, full of sound and fury, signifying nothing. It’s just another way of saying, “I know I’m going to be above average.” Active managers are just trying to come back and say there is a better way to index, when they know damn well there isn’t a better way.